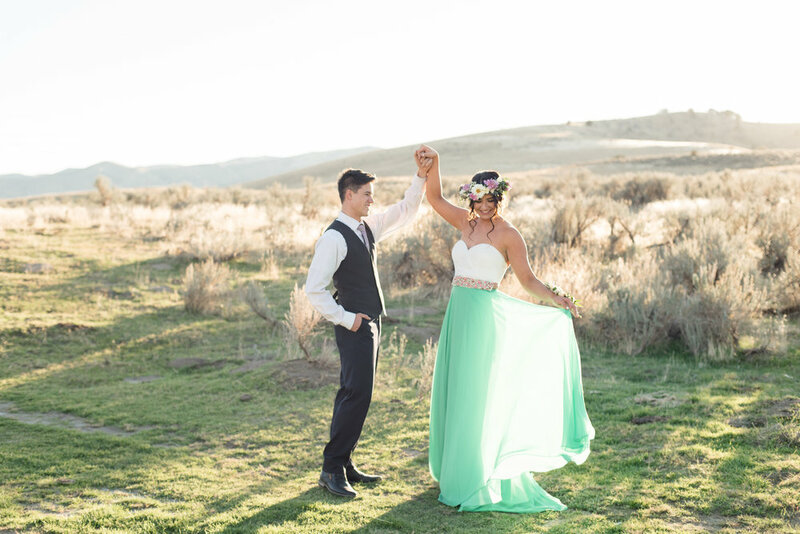 As promised, here is the second part of our styled shoot! 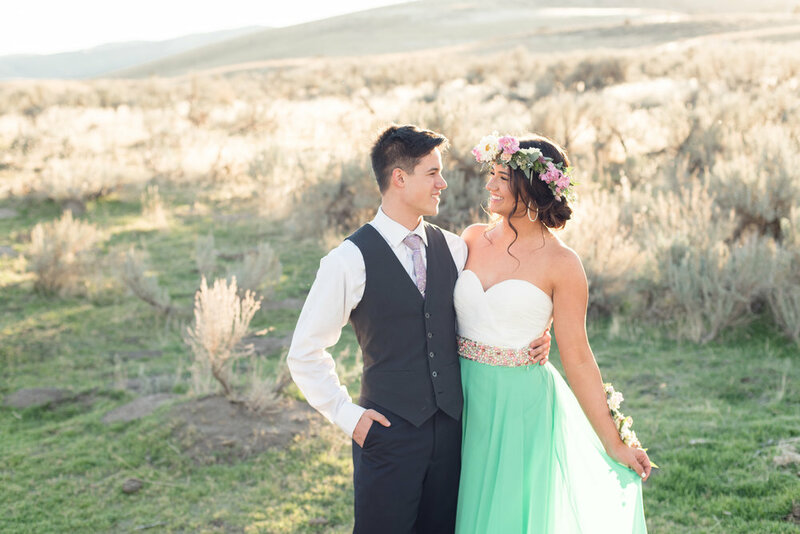 For our first look, we wanted our couple in a wedding gown and suit. You can see photos from that blog post here. For our other couple we wanted formal engagement attire. 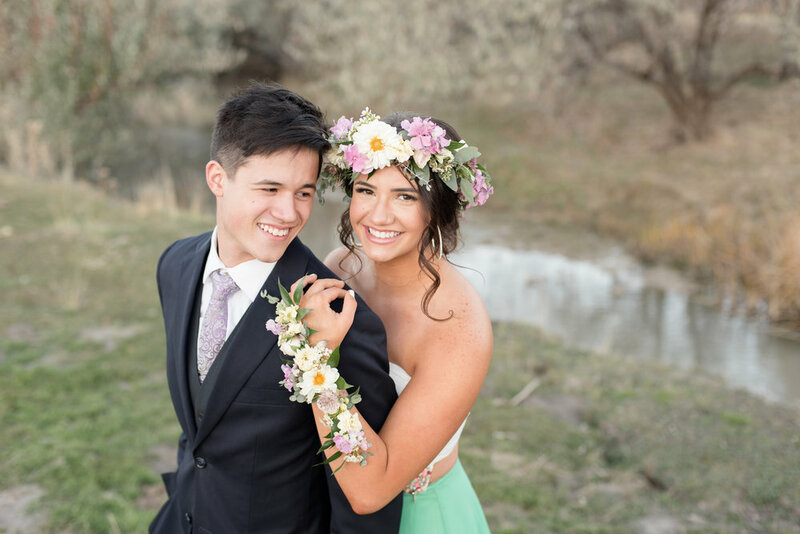 With the incredible floral headband and gorgeous floral arm piece, made by the talented Magnolia Blooms, we were able to achieve the dreamy look we were going for! Our models Liz and Kyle pulled off the look flawlessly! You would never guess that these two met for the first time that day. Planning a styled shoot can definitely be an adventure, but with so many talented people coming together everything turned out perfectly. From hair, makeup, flowers, dresses, models and location (minus having to dodge a few cow pies and a deceased coyote) we had a wonderful time working with great people. We love how it turned out and look forward to working together again in the future!